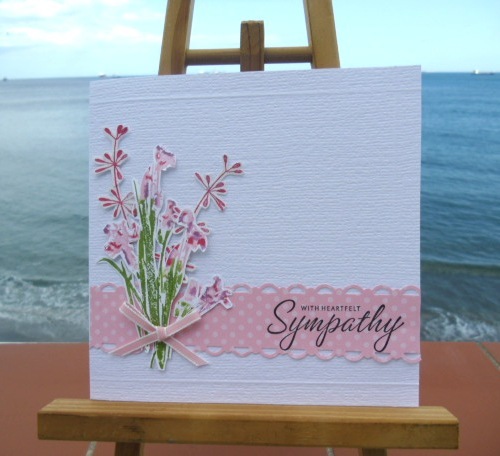 This is just SO pretty Sylvie, a simply delightful card! oh this is so beautiful and delicate sylvie. This card (although for a sad occasion) is beautiful. I love how you have used that pretty stamp. What a lot of patience you have!! Wow. So elegant with that bunch of flowers popped up and the scored borders on the base. The punched DSP just sets it off beautifully.